Summary: Reciprocity is a social norm that people follow. Getting some favour, people always want to reciprocate that. As the couple is showered with gifts in wedding, they give wedding return gifts to make it memorable. There is not a single person who does not like to have gifts on occasions and festivities. Whether it is Christmas or New Years, people always send gifts to their family and friends as a token of their love and appreciation. A wedding ceremony is the most important celebration in the life of the couple they receive many gifts from everyone and naturally like to give some wedding return gifts to the guests for making them happy and honoured. This is another way of thanking the guests. Return gifts have a unique history. It was not started with marriage. To know this, you have to go back to ancient Europe when the Kings, Queens and members of the Royal families used to give gifts to the guests with a small box called bonbonniere. Next, the aristocrats also started to follow this system. These little boxes used to include crystals, gems, precious stones and in some cases gold depending upon the status of the person to whom it is given. When there was a crisis of sugar, it was considered to be the noblest return gift. 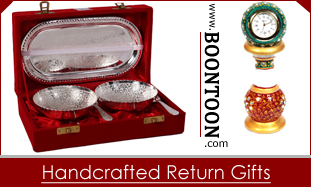 With time and evolution of many cultures, the idea of giving return gift became popular among the mass, and they started giving return gifts, and now it has become a ritual to give wedding return gifts. Why Are Return Gifts Given? Returning gifts is the most appropriate way to show appreciation for the family and friends on the day of any particular occasion. Other than being the social custom of reciprocity, return gifts are given to the guests during the marriage to bring good luck to them. There is a belief that the bride and the groom are bestowed with extraordinary power and good luck charm at the time of the wedding. 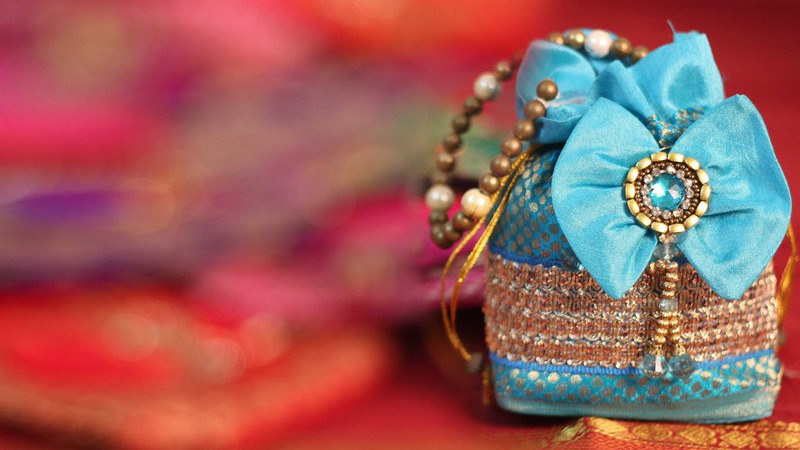 The return gift is a way for newly married couple to share their good luck with the guests. What Can Be Included In Return Gifts? Anything, starting from the modest handicraft items to silverware or clothes almost anything can be given as wedding return gifts, provided that is meaningful and falls within your budget. The thumb rule is that gift anything that the guests can use or see every day because it is hardly possible that people will remember the memories of your marriage for long unless your gift stays before their eyes. You can give a designer key ring or bowls or glass set as a return gift. Small fashion and decorative items also make excellent return gifts. Chocolate is another option that you may consider giving as a gift since it retakes the recipient to the childhood days. Giving a showpiece of cultural significance is also a perfect gifting idea. Whatever you may decide to give, make sure that it is usable. Hello there, I discovered your website by the use of Google at the same time as searching for a comparable matter about return gifts, your web site came up, it appears great. I have bookmarked it in my google bookmarks.